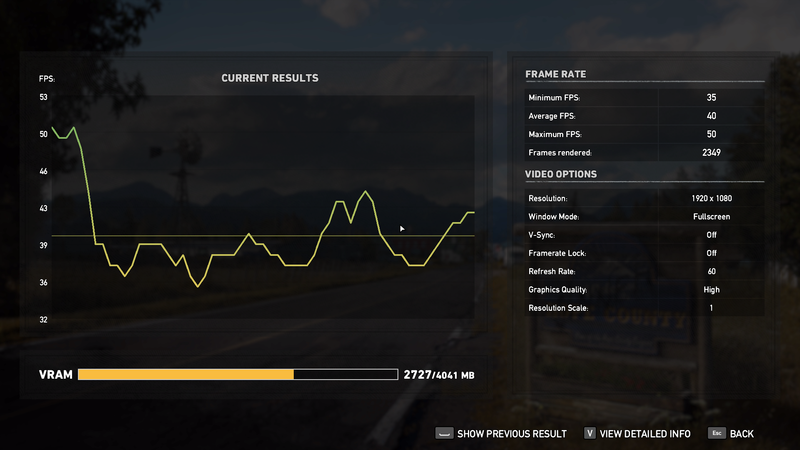 The game runs without a hitch on all tested dGPUs, 1080p with High quality preset was used. 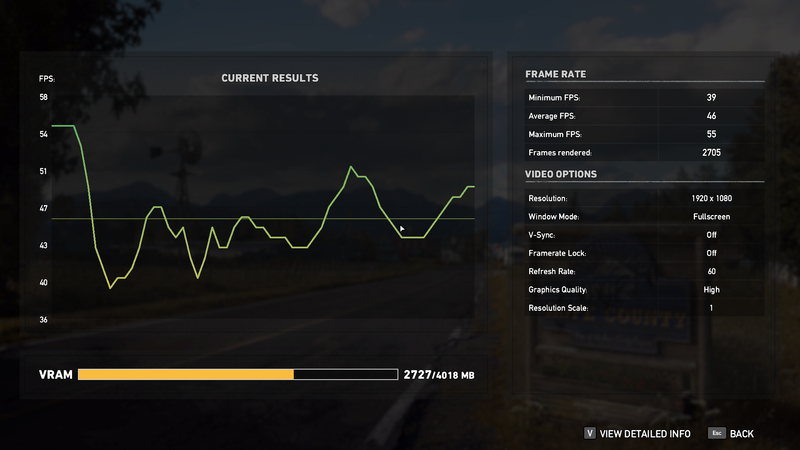 Ubisoft partnered up with AMD, so Far Cry 5 features several AMD GPU specific optimizations. 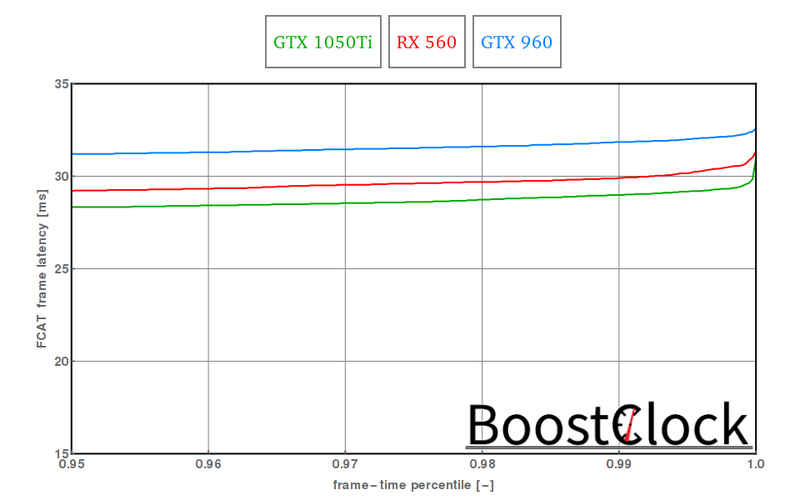 Thanks to that the RX 560 is able to trade blows with the GTX 960, especially in the in-engine cutscene	sections. 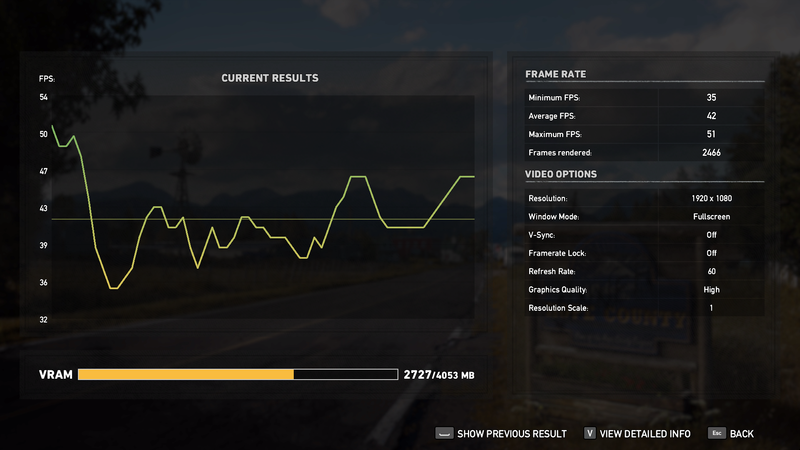 The latest drivers with Far Cry 5 optimizations were used for both AMD (18.3.4) and NVIDIA (391.35). 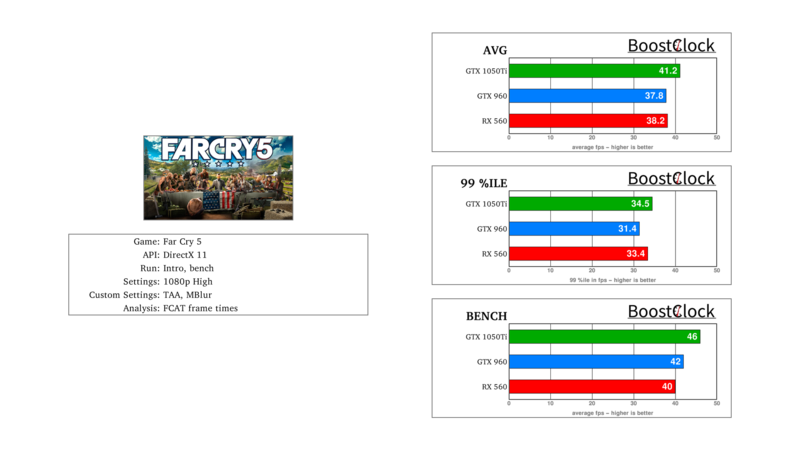 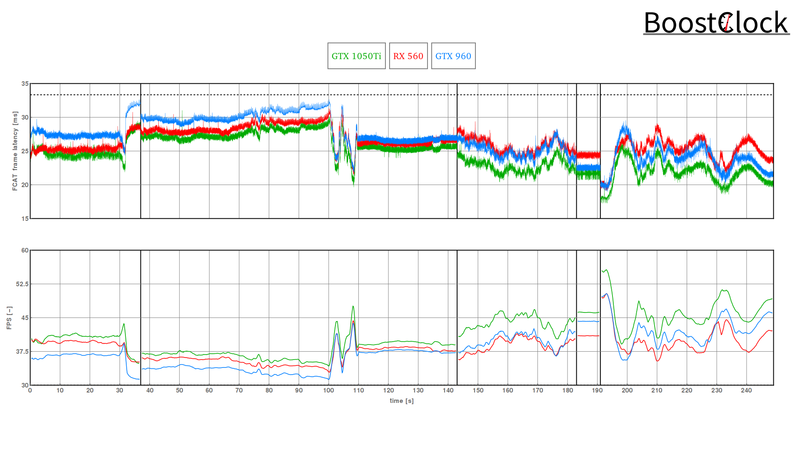 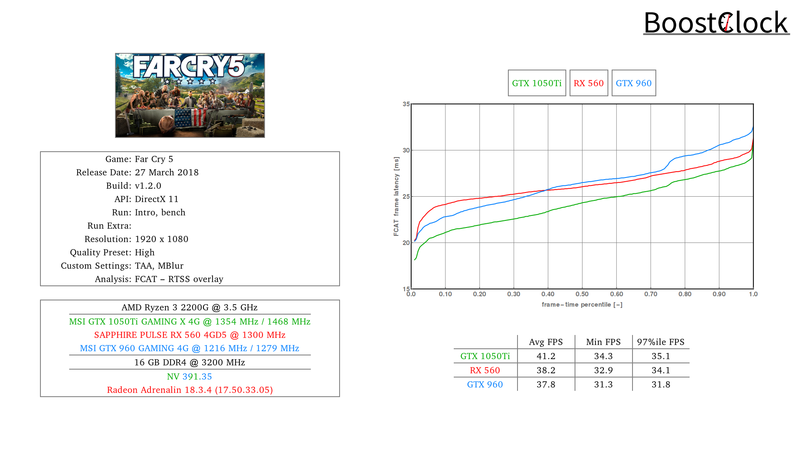 NV cards come alive in the outdoor sections, RX 560 favors the cut-scenes with many characters - included the built-in benchmark results as well.